Hi, how are you? No, I haven’t quit blogging or anything, just had three days off if anyone noticed? No one? Ok. Anyway, I’m back with a new beauty post after a little break to get my mojo back. 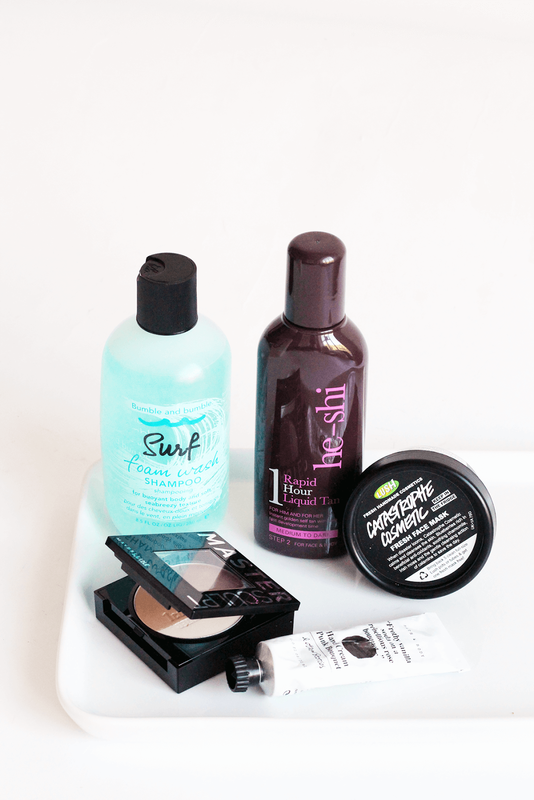 I’ll go into that more in tomorrow’s post, but for now: here’s some pretty products! The most recent addition to my makeup bag is the Maybelline Master Sculpt Contour Kit. A new(ish) release from the brand, it offers a contour colour and a champagne highlight to create dem cheekbones. I quite like this little kit as, while it does come across a little chalky, it’s pale enough for my ghostly face and isn’t orange in tone at all. Have a little swatch next time you’re in boots. 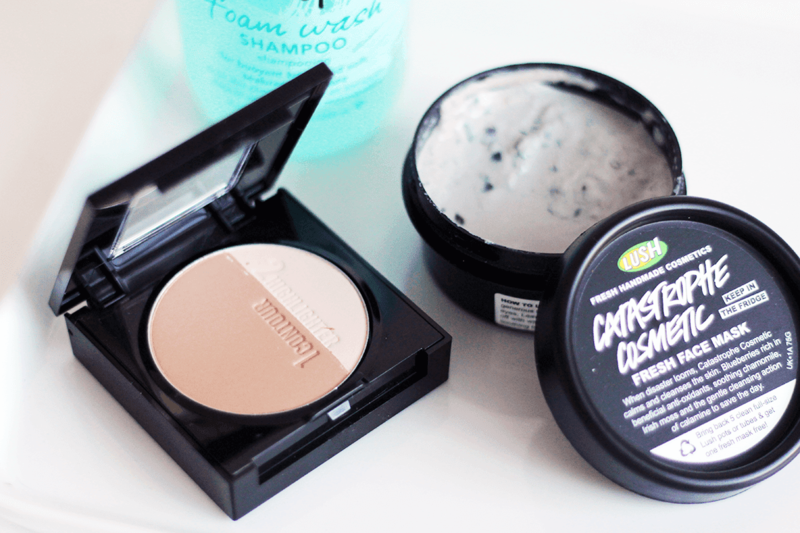 I restocked a few favourites recently, the first being the amazing LUSH Catastrophe Cosmetic Fresh Face Mask. I’ve mentioned before that my skin is going through a nightmare phase right now, so the first thing I did was head on down to Lush and stock up on this mask. It’s soothing and calming, removes all crap from your pores and just helps you feel like balance has been restored! Another restock is Bumble and Bumble Surf Shampoo. I was at the end of my last bottle, so took advantage of Escentual having 25% off to pick up a new bottle. This shampoo adds body to my fine hair and makes it feel so clean! Coupled with their new Surf Infusion Spray (adore it – review coming soon) it’s a match made in textured heaven. I was surprised with a parcel containing my favourite He-Shi 1 Hour Rapid Liquid Tan the other day and it couldn’t have come at a better time, as I’d just ran out of my bottle! It’s so easy to apply, is always streak free and leaves the nicest colour on your skin. It develops to quickly too, as the name suggests, or you can leave it on all day for a deeper colour. I can’t fault it! Finally, I’ve got a bit of a thing for hand creams at the moment and currently have two on my desk at work. I always find handwash to be drying, so I’ve been reaching for the hand creams a bit more recently and my favourite is the & Other Stories Punk Bouquet Hand Cream. Firstly it’s a bargain, secondly it smells delicious. Like vanilla and floral but kinda fruity – very unique but weirdly addictive. I adore the Stories beauty section! What are you loving right now? Check out my nail polish blog sale – I’m posting everything soon!